It is extremely important to ensure any new septic system designing and installation done when constructing a building is handled professionally. The longevity of the system relies on the work to be done correctly. 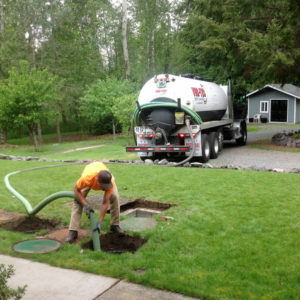 We work with a diverse customer base and can be called in to install a new septic system in Olympia for any residential, commercial or municipal property. Besides constructing a complete new septic system, we also offer our expert services for septic tank installation. The septic tank is the place where the waste generated on the property is collected through a series of drains and sewer pipes. From there, the wastewater is released into the leach field and rest of the sludge accumulates until the tank is pumped. You must address a septic tank problem immediately when discovered. 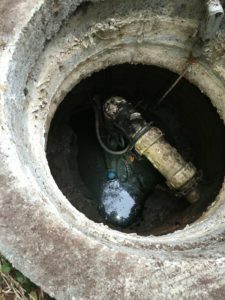 Putting off a septic tank installation can leave you with a septic tank that is causing a backup of sewage that brings your home or business to a halt. Thankfully, we are available 24/7 for emergency services and can provide septic tank installation in your Olympia property immediately. We are very experienced septic service providers. We also assure you of competitive prices that keep the septic tank installation costs within your budget. Though your new septic system was installed to last a long time, eventually it will have to be replaced. Frequent septic problems are one indication that it probably is time to replace the septic system in your Olympia property. Give us a call to have our technicians assess the existing system. You can rest assured that they will advise you as the right solution for the problems you are experiencing. 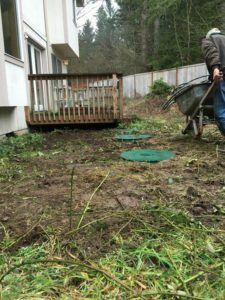 Need to replace your septic system pump or want an entirely new septic system for your Olympia property? Call the professionals at VAC-TEC LLC at (360) 338-6686.